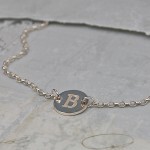 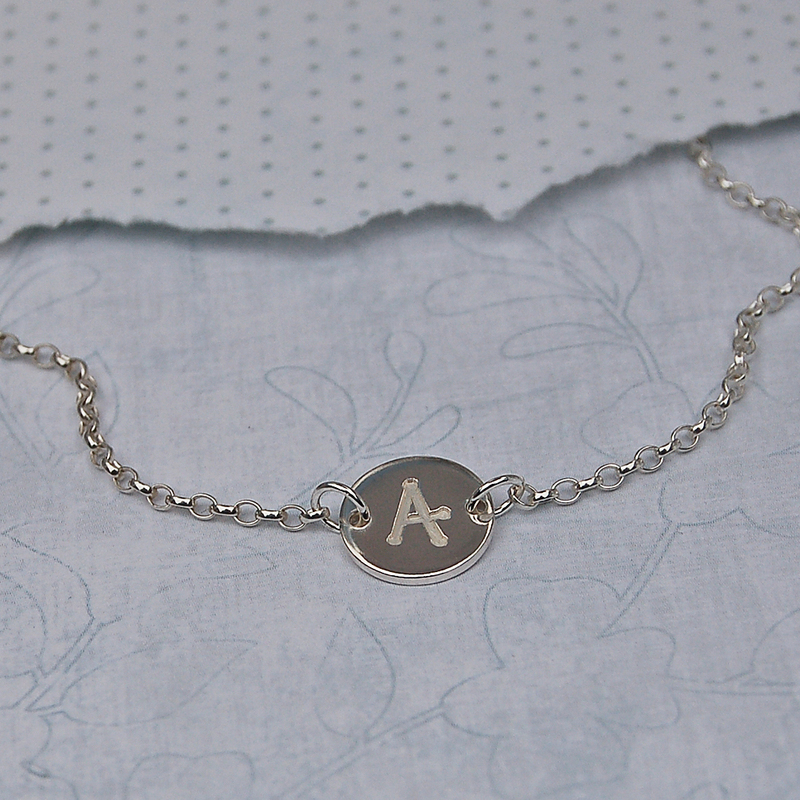 A girl's contemporary sterling silver necklace comprising of a silver disc personalised with the initial of your choice. 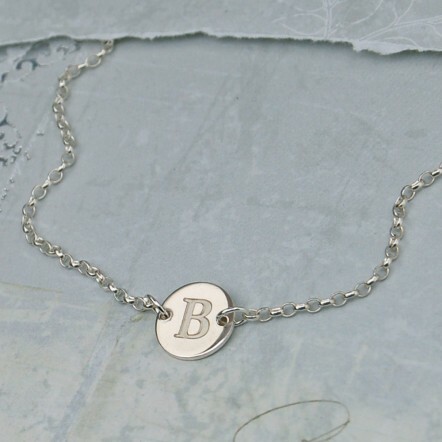 A simple modern sterling silver disc beautifully etched with the initial of a special girl in a choice of different font styles to suit all personalities. A super minimalist necklace that makes a great birthday or Christmas gift, christening present or as a thank you for flower girls and bridesmaids. 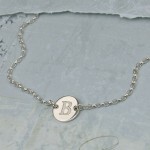 The silver disc is cut from sterling silver sheet 1mm thick, with the intial beautifully etched deep into the silver. 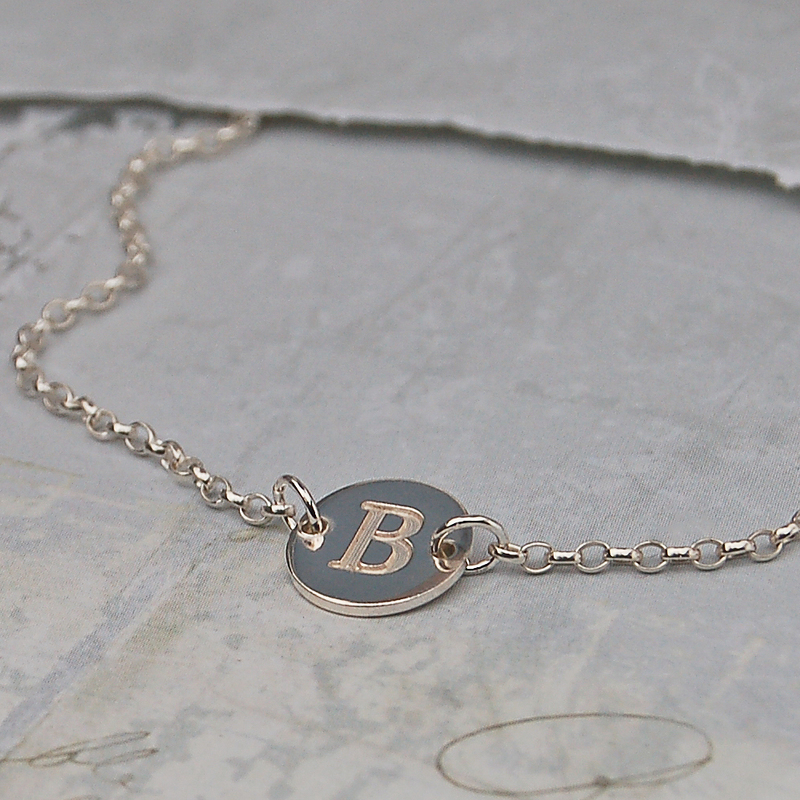 To give it a contemporary feel, the disc is suspended on either side by a sterling silver belcher chain which is available in a number of different lengths to suit all ages. 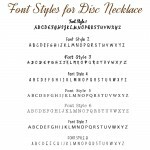 A larger disc for adults is also available and together they make a great Mother and Daughter set or Bridesmaids and Flower Girls. 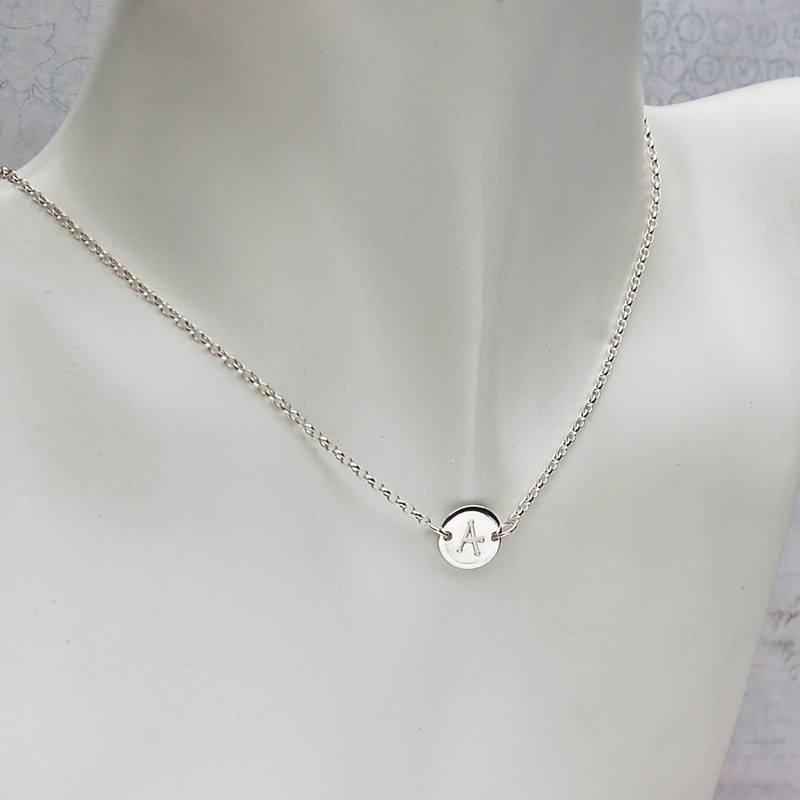 The disc measures approximately 1cm in diameter and the chain is available in 14” (35cms) which is generally suitable for 6 – 12 year olds and 16” (40cms) suitable for 12 years to late teens. 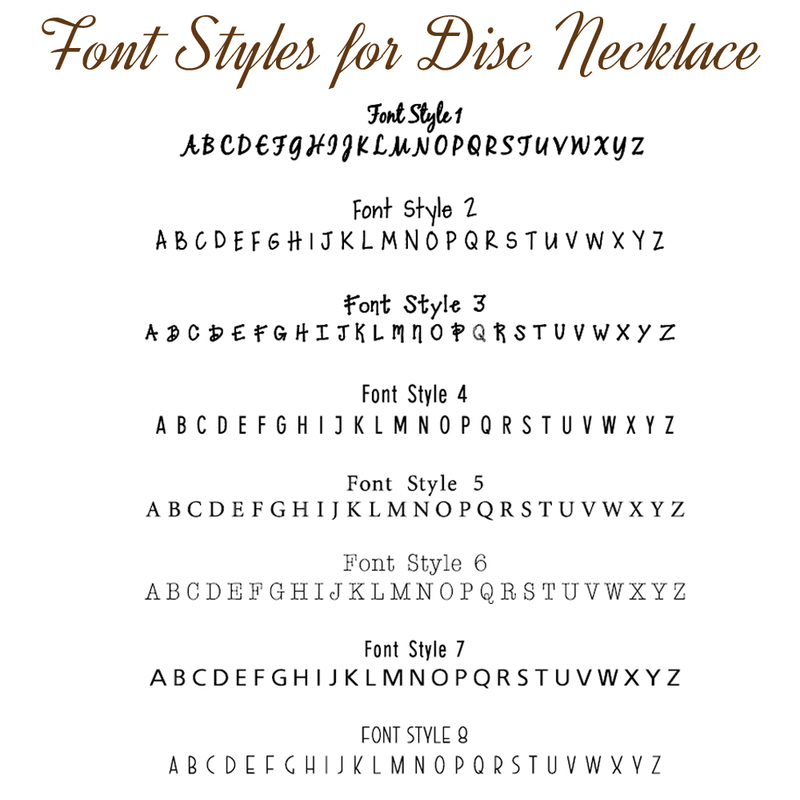 Please note that the chain length includes the silver disc. 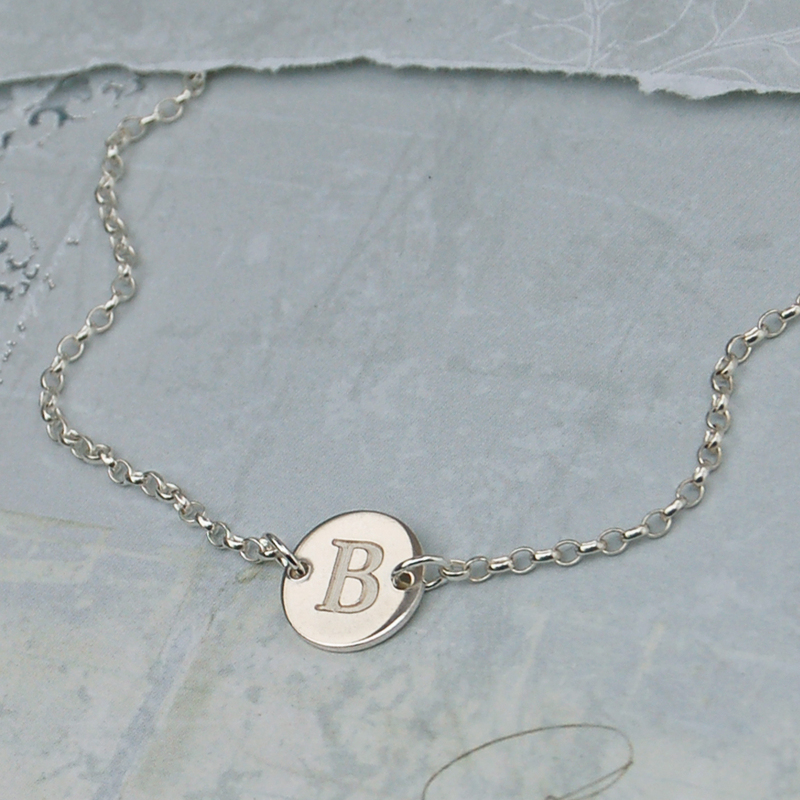 This necklace is not suitable for children under three years old.